I love this app! It is well laid out and easily accessible to any level of Japanese. Very intuitive. The flash cards and quizzes are very fun and helpful, and I've the offline dictionary! " Very easy to use! I like to use this for Japanese to English translation on occasion, and it works well for me. " I love this app! It has everything I really want or need, and I like the learning tools that come with it. It really helps with some of the more practical phrases, but there's a pretty comprehensive amount of not-so-basic phrases in there too. " I'm off on a walkabout this summer so I downloaded this app to brush up on some Japanese. Very complete. Diggin' the phrasebook. " Japanese Dictionary + by VidaLingua transforms your iPhone, iPad or iPod touch into an advanced language interpreter, always ready to help. It includes everything you need in one app and features you won’t find anywhere else such as adding notes and images to the dictionary. 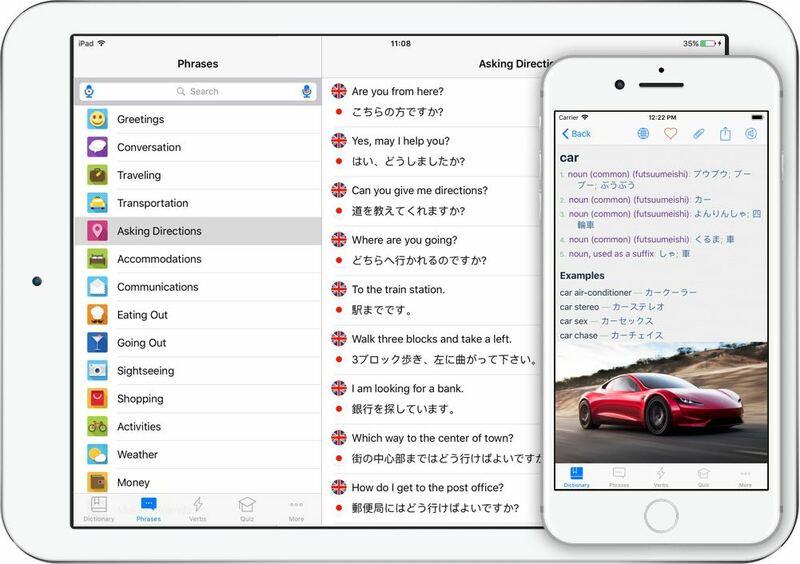 Extensive databases and advanced features make VidaLingua the most comprehensive Japanese English Dictionary for iOS. Dictionary with over 2,740,000 offline entries (premium), over 1,890,000 for free. Dictionary entries include translations, usage examples & part of speech. Text-to-speech pronunciation of English and Japanese words. Language is living. Only VidaLingua allows you to add notes and images to the dictionary!